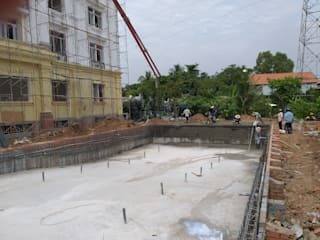 First of all, let the company build and design swimming pool Seapoolvn would like to send deep gratitude, health wishes, success to all customers and partners have sent full faith in us throughout. last time. For our customers, we always respect the cooperation and enjoy the best privilege. With the motto "Customer satisfaction is the driving force of development", Seapoolvn always listen, meet the requirements of customers. From consulting, design and installation of swimming pool equipment are based on the accumulated experience of engineers, architects, technicians are trained long-term. Over the past years, the projects that have sprung up in Ho Chi Minh City, Da Nang, Nha Trang, ... or the western provinces have contributed to a great motivation for us to continue to grow. Looking back on the wonderful work, we constantly improve capacity, level and acquire the most advanced technology in the world to meet the technical requirements, fine art of customers. Sometimes, we have chosen non-executable solutions if the expectations of customers do not meet the stringent requirements from our side. Seapoolvn believes that sustainability is the most valuable asset of any building. Over the past five years, we have been on the right track and have received positive feedback from customers, which is the biggest and most precious "compensation" that our team has. 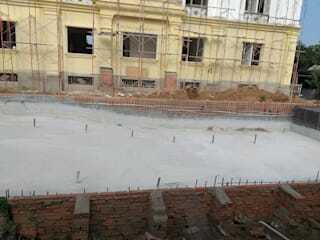 Our company has made significant changes over time by the spirit of learning, absorption of staff. Over time, apart from our partners, our company has also received many achievements and certifications from competent authorities. That is the inspiration for us to continue to move forward. Seapoolvn is always looking forward to expanding our cooperation and cooperation with local and foreign companies to develop and build the best projects.